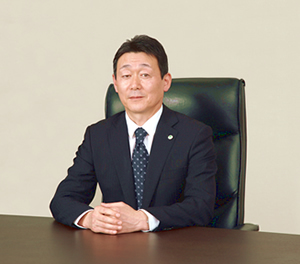 Message from the President | Hitachi Industry & Control Solutions, Ltd.
We have provided products and solutions that support both public health and safety and customer operations. These include new product development, physical security, systems monitoring, quality enhancement and improvement of on-site work efficiency in a wide range of industrial and public fields – from the manufacturing of pharmaceuticals, food and beverages and automobiles, to public infrastructure (electricity, gas, roads, water and sewage services). In recent years society's needs have become increasingly diverse and complex. As globalization continues to accelerate, we must create and provide unprecedented new value over a broad range of areas. We must catch up on our customers potential/manifest needs while continuing to promote cooperative industry with our partner companies. We hope to contribute to the expansion of our customers' businesses by providing optimal solutions to resolve issues. Moreover, we aim to further increase the value of customer business by quickly bringing new products to market that utilize cutting-edge technologies like AI and robotics. From here out we plan to further expand upon a fusion of our strengths in "information technology and control technology" throughout the full value chain from consulting to services, and to contribute to the development of a safe, secure and prosperous society based on relationships of mutual trust between us, our customers and partner companies.